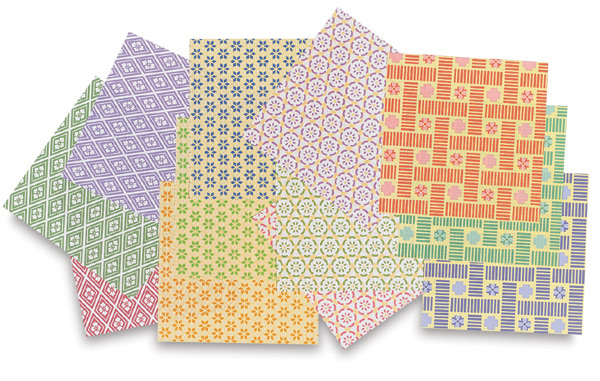 These delicate geometric and floral patterns are great for all decorative paper projects as well as traditional origami. The lightweight paper is easy to fold and comes in an assortment of colors. Each package contains 48 sheets in 12 different patterns. Sheets measure 5-7/8" × 5-7/8" (15 cm × 15 cm).